10 Series 101 and 102 aircraft were built. Eight Series 200 aircraft were built, the series 200 had a larger freight hold and enlarged front and rear doors to enable it to carry standard size cargo pallets. 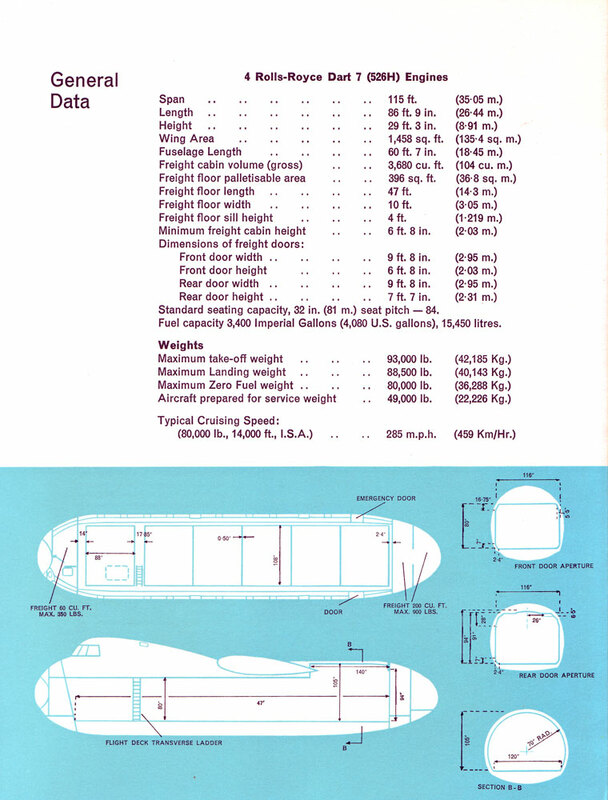 The series 200 also had a lighter redesigned wing increasing the maximum range and Rolls-Royce Dart 532/1 turboprops. In 1963, Hawker Siddeley Group dropped the names of its component companies, rebranding its products under the Hawker Siddeley banner. 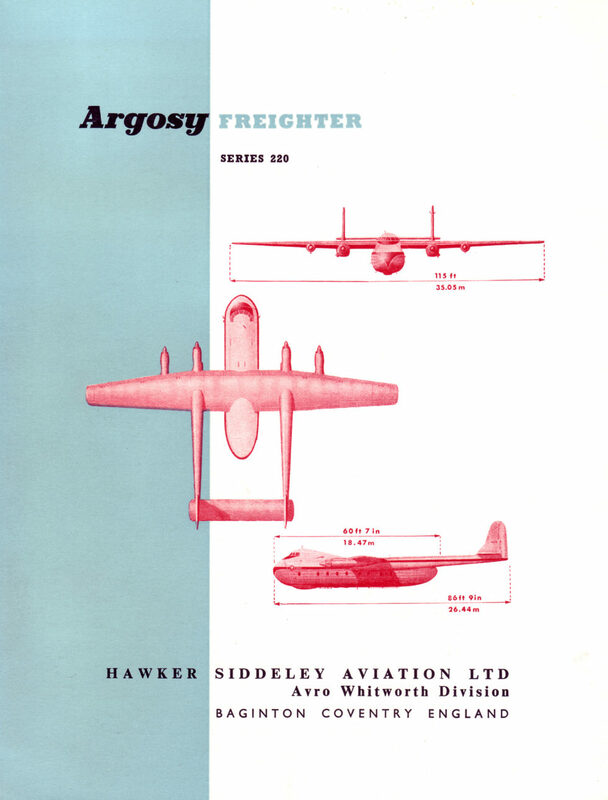 To meet a requirement for a RAF flight inspection aircraft, nine Argosy C.1s were modified in 1971 as the Argosy E.1. These were a regular sight at British airfields operated by 115 Squadron until replaced by the Hawker Siddeley Andover in 1978. After the removal of the Argosy C.1 from the cargo/transport role, it was decided to modify several aircraft as Navigation Trainers for the RAF Training Command. Two aircraft were modified as the Argosy T.2, but they were not successful and the programme was abandoned due to defence cuts.